Alhambra (pron. 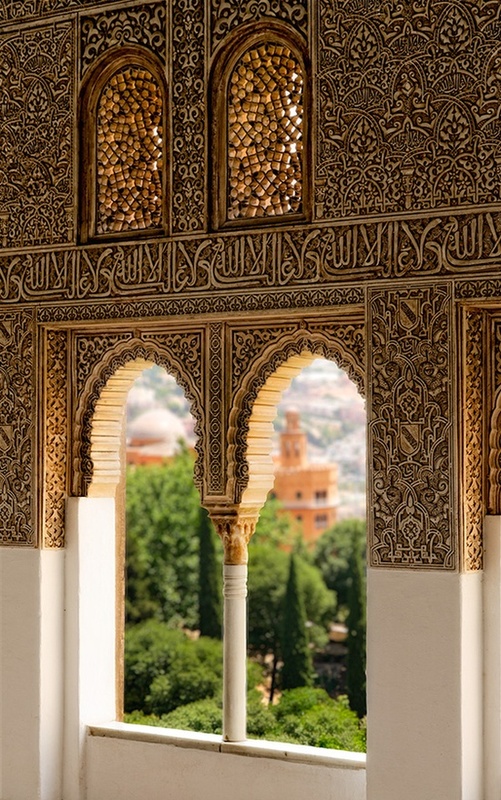 : /ælˈhæmbrə/), the complete form of which was Calat Alhambra, is a palace and fortress complex located in Granada, Andalusia, Spain. It was originally constructed as a fortress in 889, and was converted into a royal palace in 1333 by Yusuf I, Sultan of Granada.